At the photo above the ‘Seehas’ is passing a famous place in Constance: The Council Building (Konzilgebäude). In this building Martin V was elected pope in 1417. 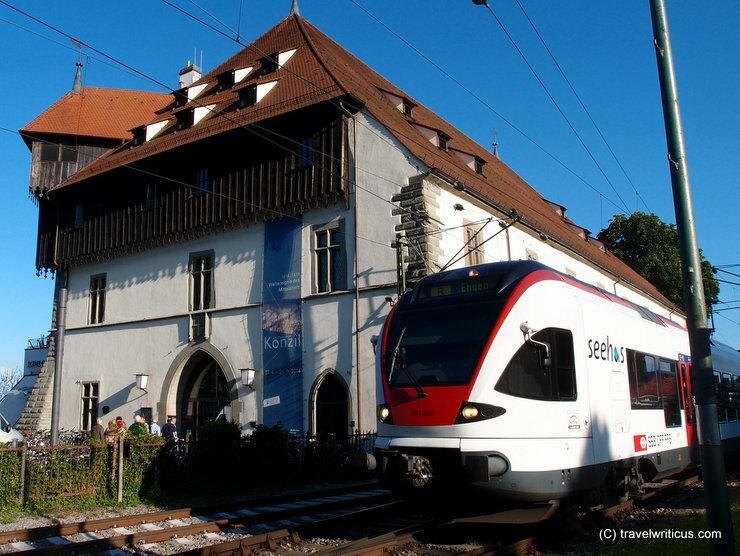 This entry was posted in Myths, Railways and tagged Baden-Württemberg, Constance, Germany, Lake Constance by Travelwriticus. Bookmark the permalink.